I’ve gotten such great feedback from the posts that I’ve shared about what things cost and why we choose to replace/repair the things that we do when renovating. I think when you are trying to get a long-term plan for your house upgrades, it’s so nice to have an idea of what something can cost instead of having to actually call around and get bids for your projects. 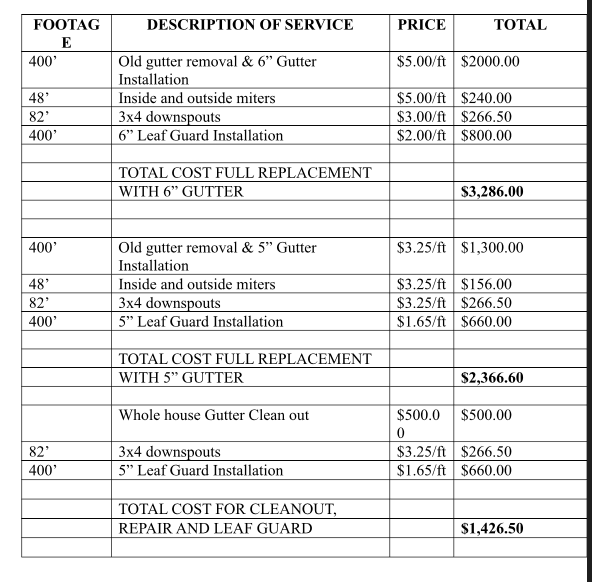 So, today’s post, All the Details on Cost for Replacing Gutters is another installment of that type of post. I’ll make sure to link to a few other of these types of posts at the end so that you can save them for later if they interest you. Before we jump right in to the cost of gutter replacement, I want to share some pictures of the original gutters. I’m realizing as I’m inserting these pictures that pictures of the old gutters aren’t telling the story of them. 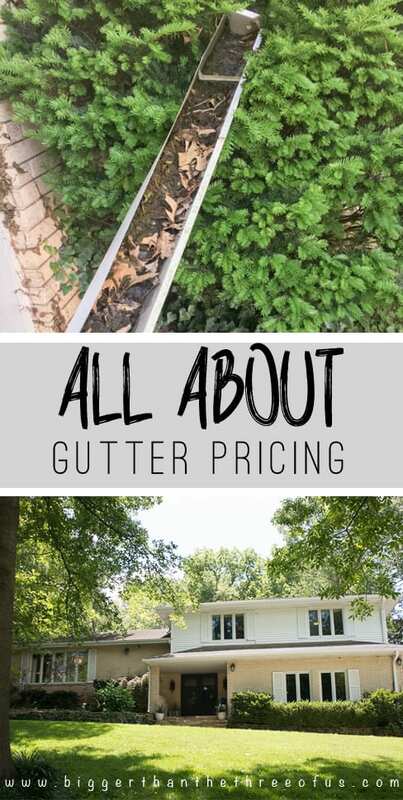 We basically knew that we had gutter issues a few years ago but were concerned about the cost to replace or fix the gutters. Our gutter concerns were because of two main things. 1. We had water pouring over the seams (or where the corners met up) constantly when it rained. The water wouldn’t flow down the downspout fast enough; or in some places, there didn’t seem to be a downspout in a good location. 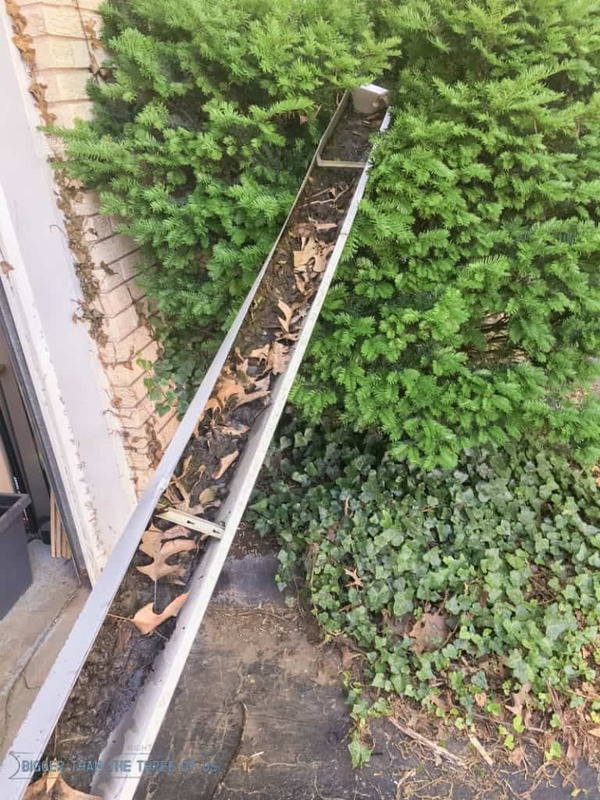 This wasn’t just a problem with the gutters being clogged, but more of a problem with them being bent and angled down from their age. 2. The second reason we knew that we were having problems was because we were having two spots on the inside that were having water seepage. This is never a good thing and over time this can cause lots of issues. We tried to prevent some of the clogging by installing gutter guards a few years ago. This was a simple DIY project and one that I’d definitely recommend if you have lots of trees around your house. Check out our How To Install Gutter Guards or just click-over an PIN for later. 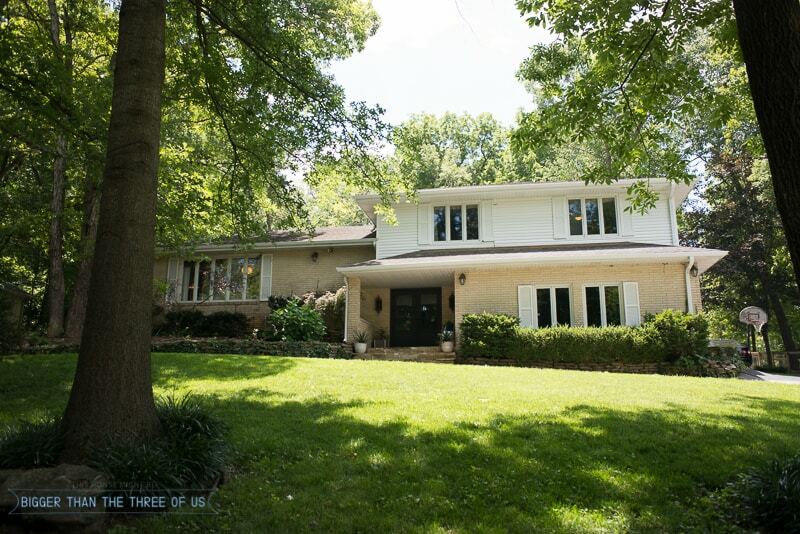 When we installed the gutter guards, we installed them on the lower two rooflines. Luke is afraid of heights and I would probably just fall off the roof if I tried to install them. 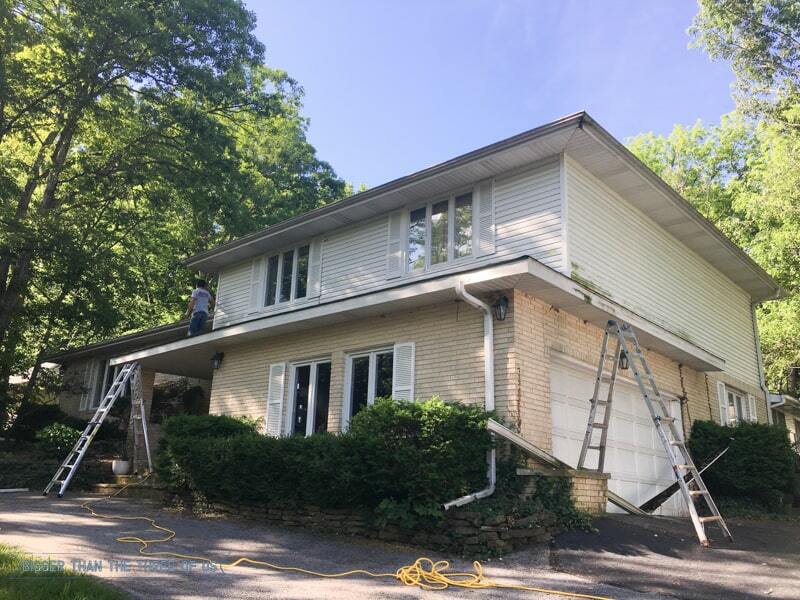 We would have eventually gotten around to installing them on the upper roofline if our gutters were in good shape but since we knew they needed to be worked on, we decided to just leave them without guards until we either got them fixed or replaced. So, back to all the details about replacing the gutters and what exactly is the cost of replacing gutters. 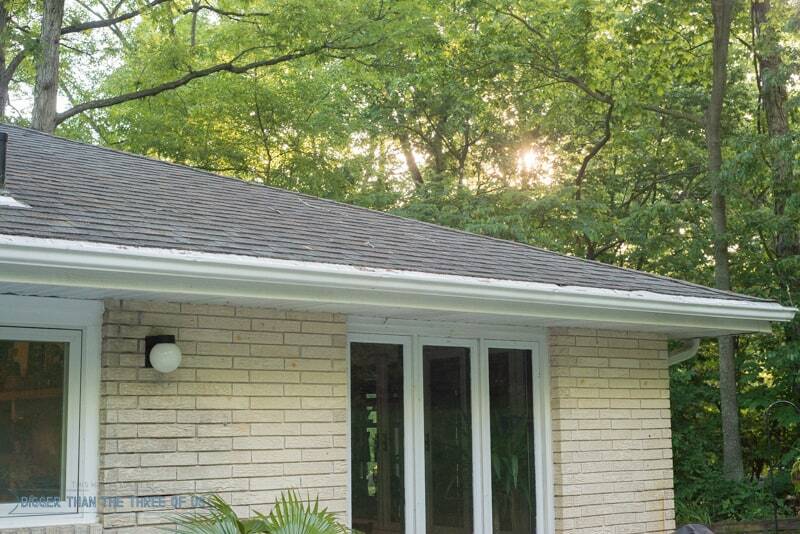 In our research, we knew there were two main gutter material options and depending on what you went with, your cost of new gutters would vary. You can either choose vinyl or aluminum (there are others, but these are the two most common). Installation for vinyl usually runs around $3-5 per linear foot and aluminum usually runs $4-9 per linear foot. See more detailed estimates at fixr.com. 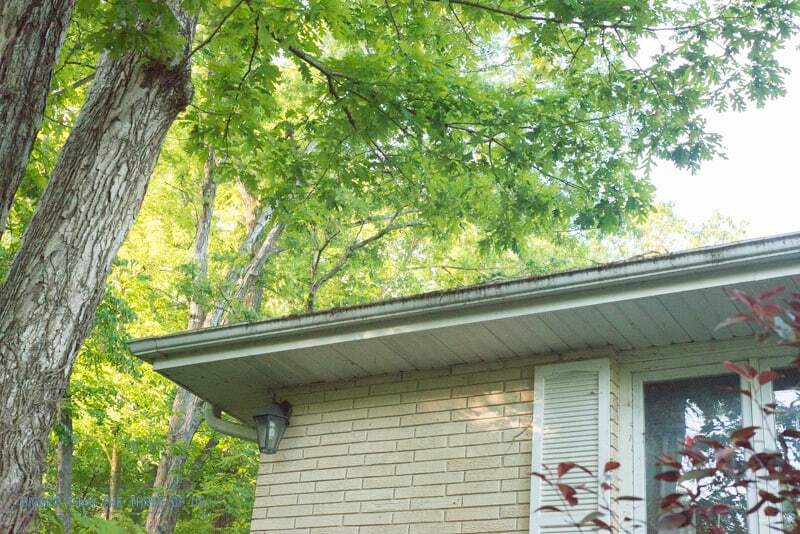 The cost of new gutters will also vary depending on what size gutters you install. When your house is built, the contractor chooses the size based on the pitch/size of the roof. So, usually, the size that you have on your roof is the correct size. We had 5″ originally. We could have gone with 6″ as an upgrade but the 5″was appropriate and what we stayed with. *Size also playing into the pricing above. Then, you can choose gutter guards for an added price. Gutter guards can be seamless ($$$$$$) or metal/plastic covers that are drilled onto the gutters. 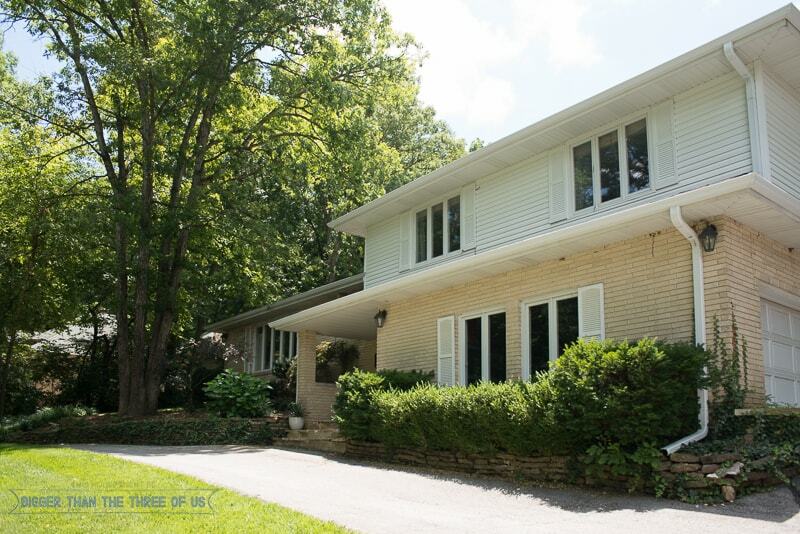 For reference on sizing, our house is a split-level, 3800 sq foot located in the Midwest. I’ve found that pricing definitely fluctuates depending on where you are located in the US. As you can see on the bid, we got quotes for the cost of replacing gutters and downspouts. We asked to use the downspouts that we had on the house (if they were in good condition) to help save money. We opted for aluminum gutters with regular metal gutter guards drilled onto them. We also opted to keep any of the downspouts that were in good condition. This helps with cost! There can be variables with gutter installation. 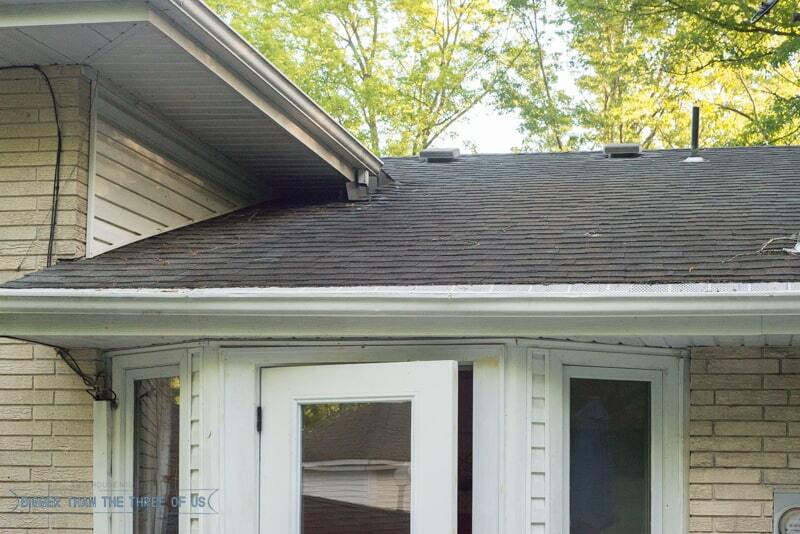 Like, we learned that our upper roof needed all new flashing before the gutters could be installed. The installers went to install the gutters and realized that they needed to replace it too. So, as always with home improvements (DIY or paid-out) be prepared for unexpected costs. I’m not saying that to scare you or anything because, in this case, it wasn’t too expensive. The flashing with labor was $200. *Sidenote, a lot of companies around here will do added projects or have other services that they offer. This company also does power washing. So, we killed two birds with one stone and had them power wash the siding on the front and side of the house (the high areas). This ran us $200 and was well worth it. Just something to consider when you are doing projects!